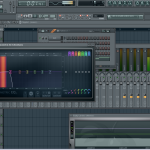 We often get the question: how to render a song with high quality in FL Studio? At this point we’re assuming that you’ve already made the beat as well as added a mastering chain. 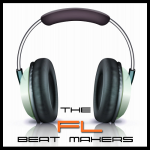 If you have questions about should you master a beat check out this article. We are also assuming you have ensured that you have no clipping on the final output. If that is the case then you are ready to render down your beat. 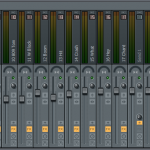 Once you have selected the render option in FL Studio you will see the render settings window. What options you select here will not only determine the quality of the render file but also they type of file, and the time it takes to render. Under the quality section you are required to select a value for sample interpolation. The higher you set this amount the better quality you get but the longer it takes to render down the file. It is at least recommended that you use 64-point sinc. Also make sure you have the option enabled to have HQ for all plugins. This puts all plugins into high quality mode. If you want to render down to CD quality choose WAV as the output format. For depth you will want to choose 16 bit. 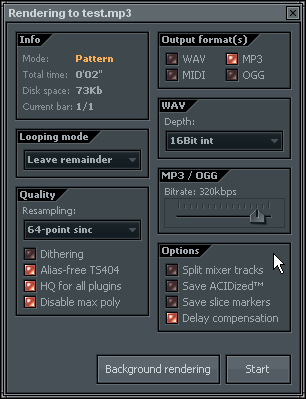 You may also want to go into the audio settings window and make sure that the sample rate is set to 44.1 kHz. 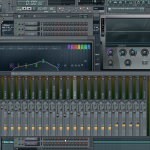 Choosing these options will provide you with a CD quality render in FL Studio. If you are rendering down an mp3 file you need to make sure that that you choose the highest bit rate possible which for an mp3 is 320 kbps. A side note here is that if you are rendering audio for a website you may have to choose a smaller bit-rate in order to load it because of the size of the file. if that is the case you need to at least make sure that you choose the highest bit-rate that you can. If you are providing a beat to a purchaser I would give them the 16bit WAV file mentioned above unless they specifically ask for an mp3. Ideally you would want to provide the artist the highest quality audio files that you can. However, for whatever reason you will probably get requests for a specific type of file from certain people. For example, some artists may prefer an mp3 file. Although I would highly highly advise against this, if that’s what your client wants than that’s what you provide them. You need to make sure that if you do render an mp3 file you also change the bit rate to the highest possible option to provide the highest quality file that you can provide. When you render down to MP3 the conversion process will compress the audio file and you will lose quality to the recording. That is why it’s best to avoid rendering to mp3 if possible.